Breakfast is not something that I’m good at. The morning consists of a shower, feeding my son, packing lunches and walking the dogs so I’m not left with much time to make myself something to eat. That’s where muffins come in handy. By baking a batch on the weekend and stashing some away in the freezer I can have breakfast on hand in an instant. 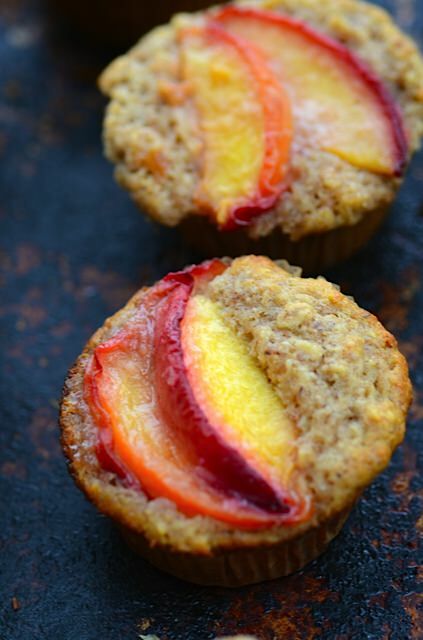 These muffins are fairly healthy, but are substantial enough to keep you satiated until lunch. Melt the butter in a medium saucepan, add the sugar and grated ginger and cook until the sugar is dissolved. 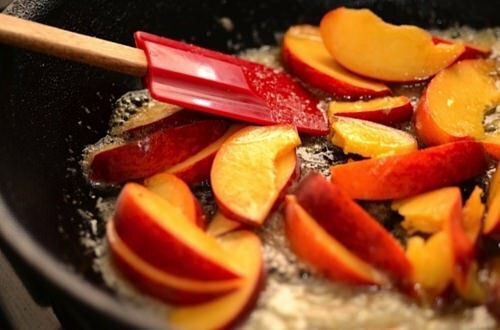 Add the peaches to the pan and cook until they start to release their juices. Set aside to cool slightly while you prepare the batter. Place the cup of oats in the milk and let soak for at least 15 minutes (you can soak them the night before if you want to make them first thing in the morning). Mix together the flour, sugar, salt, cinnamon and baking powder. Add the eggs, vanilla and oil to the milk and oat mixture then pour the wet ingredients into dry ingredients. Mix just until combined, don’t overmix or you will have tough muffins. Fill cups of a lightly greased muffin tin two-thirds to three-quarters full. 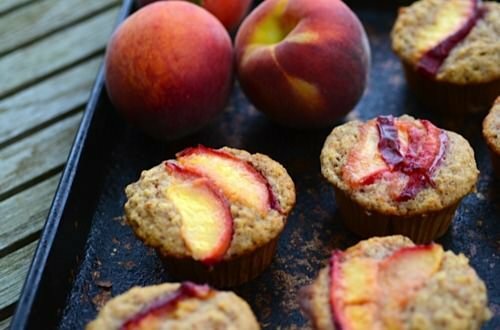 Top the muffins with 2 slices of peaches and spoon any remaining juices over the top. 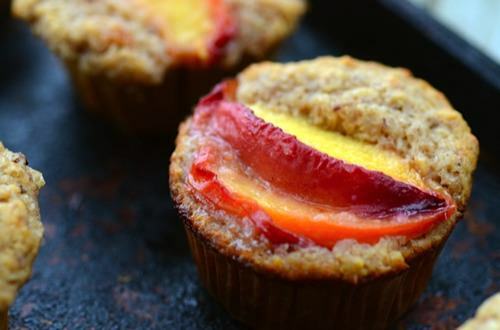 Place muffins in the oven and immediately drop the temperature to 400 degrees. Bake for 15 to 20 minutes or until muffins are golden brown and firm to the touch. 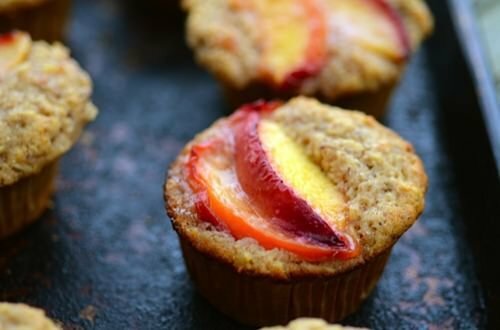 These muffins look fantastic. 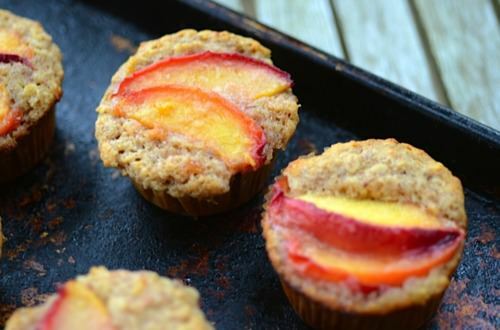 We run a bed and breakfast and am going make some of these for breakfasts. 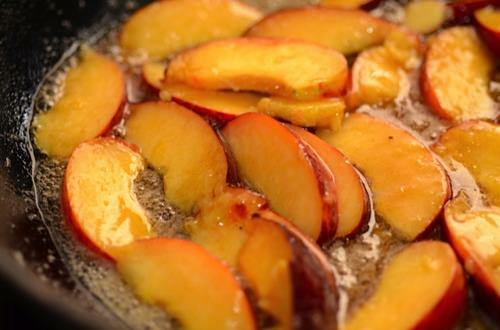 I hope you like them, peaches are in season right now so they should be delicious!